Non-Korea-photo Sundays... the tradition continues. 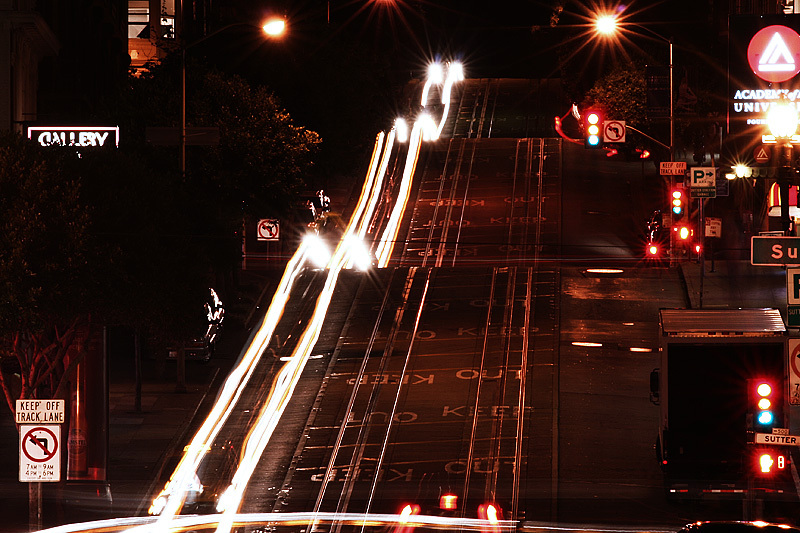 The lights of the Powell Street cable car mix with a hodgepodge of transportation struggling up downtown San Francisco's punishing inclines. May the heavens have mercy on your soul if you drive in San Francisco with a manual transmission. 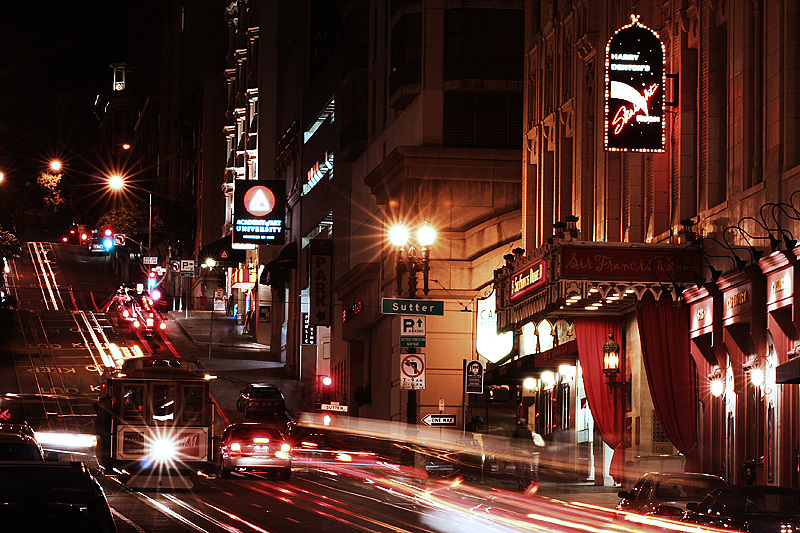 Plateauing headlight trails on Powell Street. These are some of the first pictures I took with my initial DSLR camera (f/32! What was I thinking!?). However, it wasn't the thrill of taking long exposure photos that I recall, but instead how freezing cold it was this night. Don't be fooled, people. Just because San Francisco is in "sunny" California, doesn't mean it's warm.